Dr. Bruce McDavitt graduated from the Purdue School of Veterinary Medicine in 1992 following two years of undergraduate studies at Purdue. He developed an interest in equine veterinary medicine at an early age by following his father on veterinary calls and to horse shows. As a youth he competed in AQHA shows in western disciplines, showing throughout the midwest. Following graduation from veterinary school Dr. McDavitt received advanced training in arthroscopy. He has also completed continuing education courses in orthopedics and advanced fracture repair through AO ASIF, a non-profit organization dedicated to the advancement of orthopedic veterinary care. Dr. McDavitt is a member of the American Veterinary Medical Association, The American Association of Equine Practitioners, The Indiana Veterinary Medical Association, and has served as president of the Indiana Association of Equine Practitioners. He was the equine representative to the Indiana Board of Animal Health for ten years, serving as chairman for three years. Dr. McDavitt’s primary areas of interest include lameness, surgery, and reproduction. His hobbies include riding reining horses and spending time with family. Dr. Donna McDavitt graduated from the Purdue University School of Veterinary Medicine in 1992 following two years of undergraduate study at Purdue. She developed an interest in veterinary medicine while growing up on a grain and cattle farm in Northwest Indiana. Her areas of practice include canine and feline medicine and surgery. She has a deep respect for the human animal bond and enjoys working with her clients and patients to promote and preserve that special relationship. Her professional interests include internal medicine and surgery. Outside of practice she enjoys spending time with family, their Aussies, Norwich Terrier and American Quarter Horses. She also enjoys gardening. Dr. Duane is a 1965 graduate of the University of Illinois School of Veterinary Medicine. He has practiced equine medicine in the Carmel/Westfield area for over 45 years, and established Maplecrest Equine Clinic in 1974. 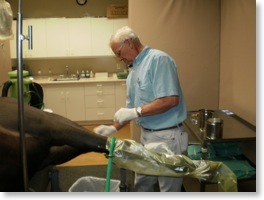 Dr. Duane has been an active member of the veterinary profession and equine industry for many years. He was a founding member of the Indiana Association of Equine Practitioners, and served on the Indiana Board of Animal Health for nearly 10 years, acting as chairman for 3 years. He was elected to the position of National Director of the American Quarter Horse Association in 1995, and was named an Honorary Vice President in 2008. He is also a past president of the Indiana Quarter Horse Association. He is a lifetime owner and breeder of Quarter Horses. He bred and raised the stallion Stepahead, who acheived an AQHA championship as well as superior halter and pleasure status. In 2007, he was selected as a member of the Indiana Livestock Breeders Hall of Fame. In 2009, the equine practice at Maplecrest Equine Clinic joined McDavitt Veterinary Clinic, where Dr. Duane continues to practice equine medicine part time. His special practice interests include lameness and reproduction. Dr. Kosta is a graduate of Purdue University, where she received her Doctor of Veterinary Medicine degree with highest honors in 2008 and Bachelor of Science degree in Animal Science in 2004. She is originally from a farm in Fair Oaks, IN and is a lifetime horse owner. She has ridden and shown Quarter Horses in a variety of events since childhood. Dr. Kosta specialized extensively in equine medicine and surgery while at Purdue, and was awarded the Indiana Association of Equine Practitioners Award for exhibiting the highest proficiency and professionalism in equine practice. She also gained valuable practice experience while working at several specialized equine hospitals in Indiana, Oklahoma, Texas, and Florida. 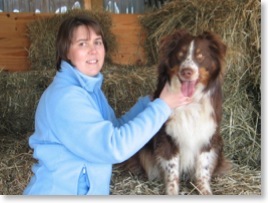 She joined the McDavitt team as an associate veterinarian in 2008. Her special practice interests include performance horse medicine and lameness, internal medicine, and anesthesia. 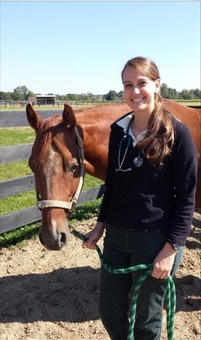 Dr. Jessica Jones is a graduate of St. George’s University School of Veterinary Medicine located in Grenada, West Indies completing her fourth year of veterinary school at the University of Georgia in Athens, GA. After graduating in 2013, she completed an internship at Rood and Riddle Equine Hospital in Lexington, KY practicing both in the hospital and the field. She completed her undergraduate degree in Zoology at Miami University of Ohio. From a young age, she has ridden and owned horses. Growing up in Cincinnati, OH, she competed in three day eventing in Area VIII. She also was a member of the United States Pony Club and achieved an H-A rating. She is a member of the American Veterinary Medical Association, American Association of Equine Practitioners, Indiana Association of Equine Practitioners, and the United States Eventing Association. Her areas of interest include sport horse medicine, internal medicine for large and small animals, lameness, anesthesia, and reproduction. Dr. Maggert is a 2017 graduate of the University of Illinois College of Veterinary Medicine. 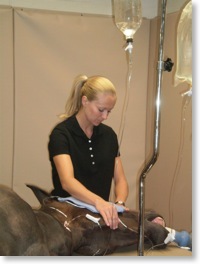 She has completed a one year, extensive rotating internship at Weatherford Equine Medical Center in Weatherford, Texas. During her internship she learned from board-certified clinicians in the areas of lameness, internal medicine, reproduction, podiatry, and alternative medicine (acupuncture and chiropractic). Her professional interests include internal medicine, alternative medicine, reproduction and lameness. 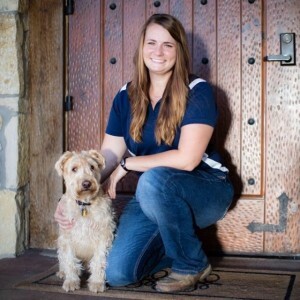 When she is not working she enjoys showing American Quarter Horses, spending time with her Soft Coated Wheaten Terrier, Murphy, and cooking. She is an active member of AQHA and competes nationally in western all around events with a specific emphasis on trail.